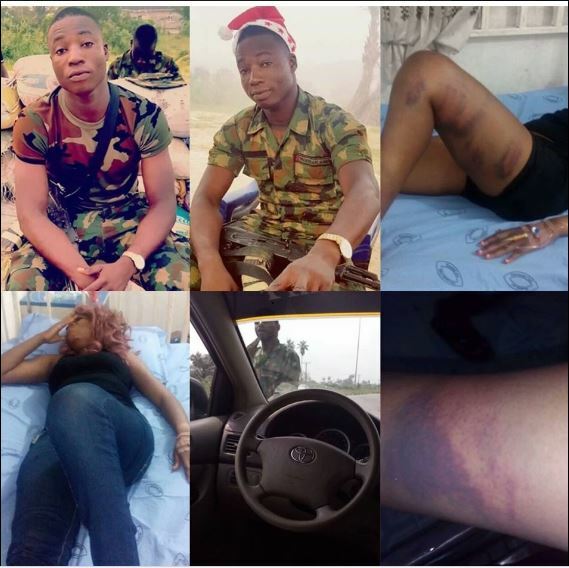 A Nigerian soldier has been sentenced to jail for molesting Nollywood actress, Jewel Infinity. In a press statement released by the Nigerian Army, Sulaiman Olamilekan is to serve 28 days in prison. This sentence comes with hard labour and no option of fine. The statement was released through the official facebook page of the Nigerian Army. 1. In accordance with the Nigerian Army’s policy of zero tolerance to unprofessional conduct as well as its uncompromising stance on discipline and commitment to the rule of law, 6 Division Nigerian Army has charged, tried and found Private Suleiman Olamilekan of 6 Division Garrison, Port Harcourt guilty of the maltreatment of Miss Ebere Ohakwe. He was accordingly sentenced to 28 days Imprisonment with Hard Labour (IHL) and the forfeiture of his salary for same number of days to the Federal Government of Nigeria. 2. It would be recalled that there was a report in the social media that the soldier maltreated one Miss Ebere Ohakwe at Omagwa Checkpoint along Port Harcourt – Onitsha Road on 30th January 2017. This prompted the decision of the authorities of the Headquarters 6 Division to thoroughly investigate the matter with the view to serving justice adequately as required by the laws of the Nigerian Army. 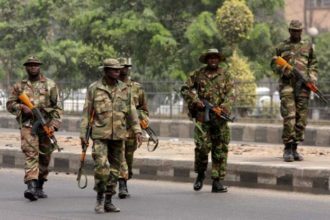 Consequently, the General Officer Commanding 6 Division Nigerian Army, Major General Enobong Okon Udoh ordered the immediate arrest of the soldier and his Guard Commander for investigation and disciplinary action. He also invited the victim to his office and assured her that the matter would not be treated lightly. 3. We wish to assure the general public that proactive measures have been put in place to forestall a reoccurrence of such misconduct in the future. We will equally welcome prompt and accurate reports of any such misconduct within Rivers, Bayelsa, Akwa Ibom and Delta States to appropriate superior authority via the following numbers: 09072509436, 09072509437 and 09072509438. 4. We also wish to reassure the general public of our commitment to their safety and security as required by the laws of our great nation while soliciting the support and cooperation of all towards eradicating all forms of criminality within our society. 5. You are kindly requested to disseminate this information to the general public.